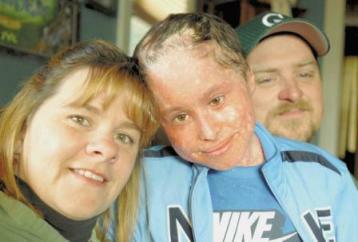 Randy S., 11 year old son of Polly and Rick S., is affected with Ichthyosis en Confetti. During Ichthyosis Awareness Week 2009, Polly invited Cathleen Crowley, a reporter from her local newspaper the Times Union in Albany, NY, to come to her home and interview the family. It is a wonderful story of how the community and school have embraced Randy. The story and video are being used by permission from the Times Union. Following the printing of this article, Randy's story also aired on the local television station, WTEN. Below is the video that aired on WTEN.